Building of new single-family houses rose 8.1 percent in September, according to the most recent data made available by the Commerce Department. Yet the annual rate of 783,000 housing starts remains well below the historical average of more than one million new homes per year. 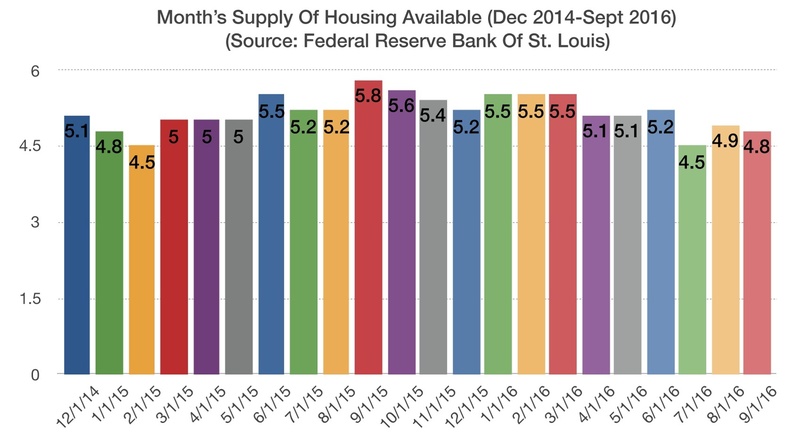 While demand is high and enthusiasm for home ownership is apparent, the Fed’s Beige Book Report, which surveys all of the 12 Fed Districts, found that residential construction and real estate activity has expanded further, yet low home inventories continued to constrain sales. Construction of new homes has been despondent, as a lack of qualified workers has hindered the home building industry since the displacement of jobs during the real estate downturn following 2007. The challenge of hiring stems from skilled workers that left the industry during the downturn and have found other occupations since then. An improving jobs market along with growing families has helped escalate the demand for homes across the nation. Sources: Federal Reserve Beige Book Report (Oct 2016 Release), Commerce Dept.